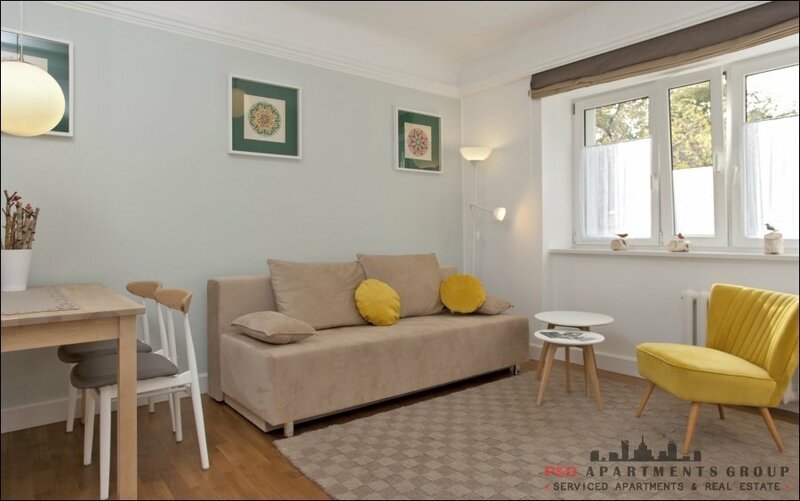 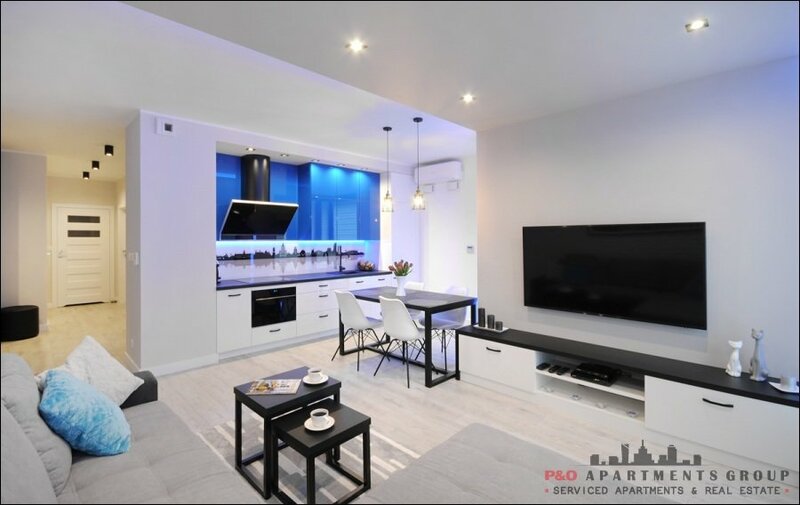 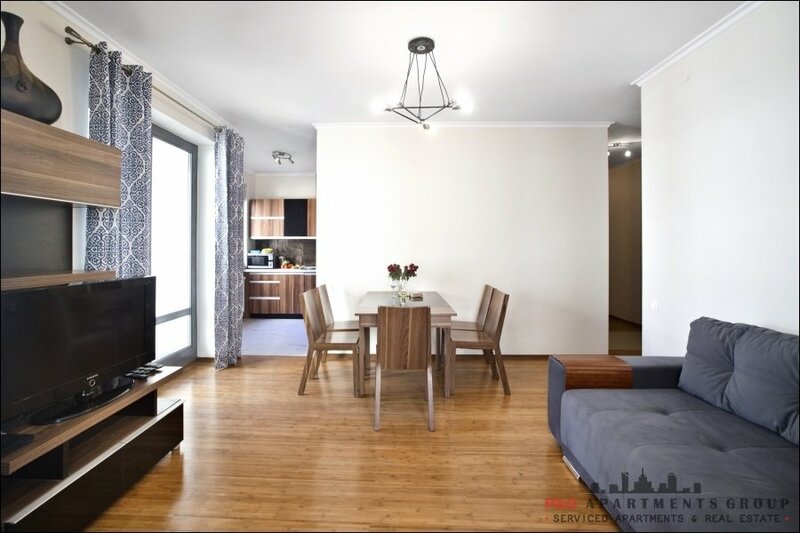 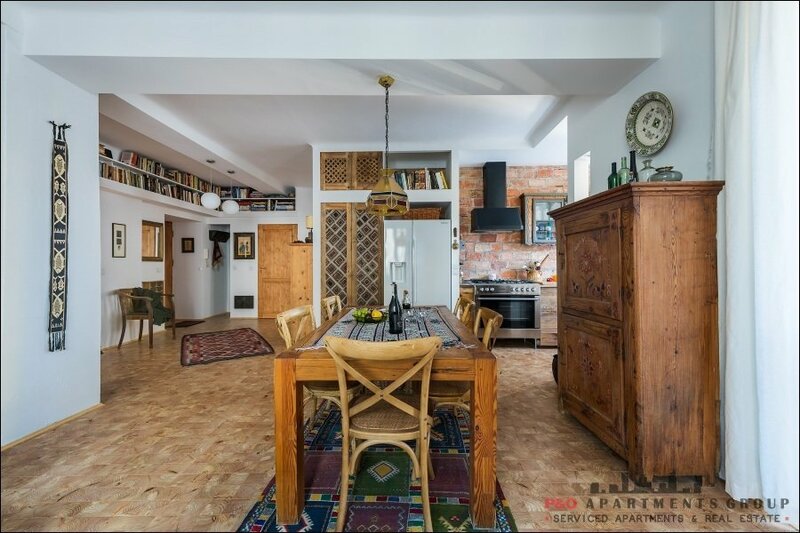 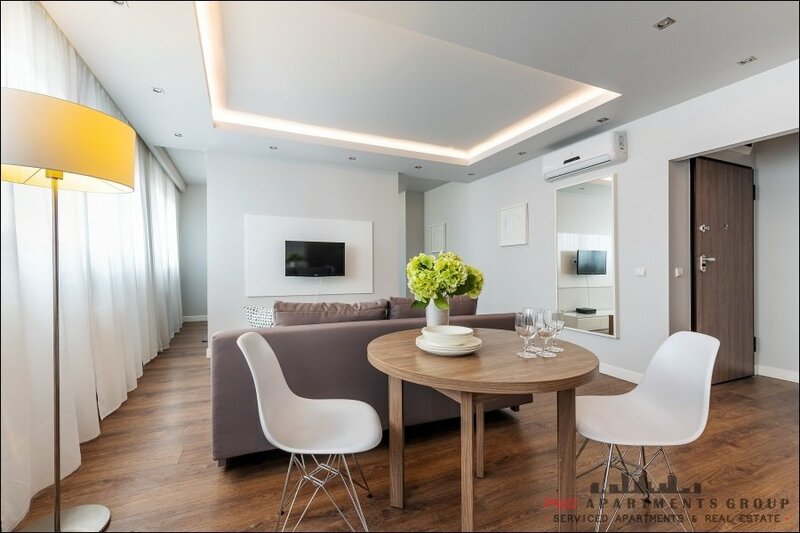 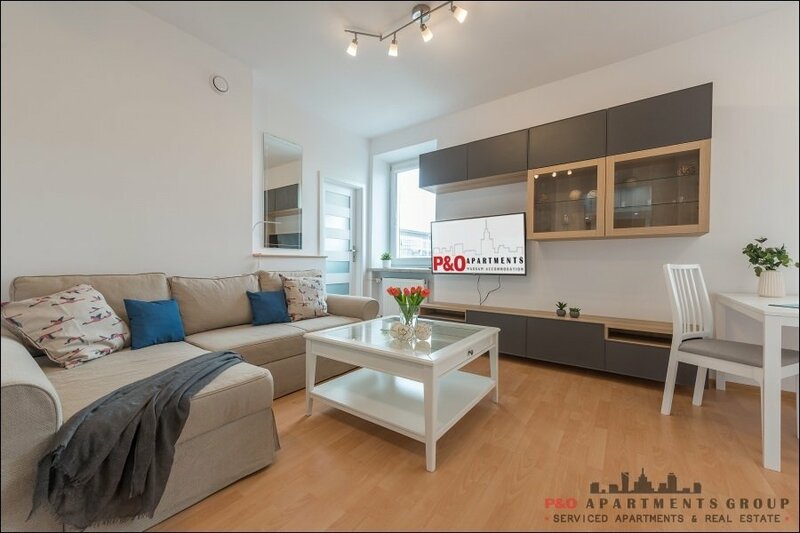 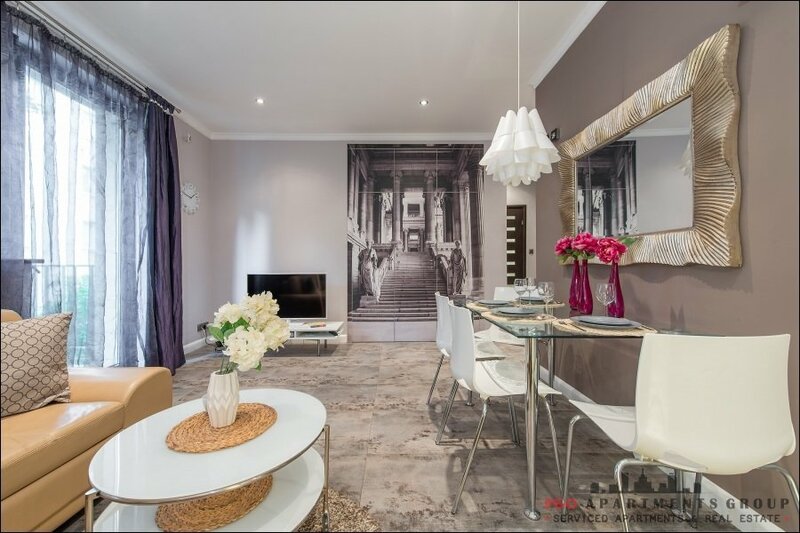 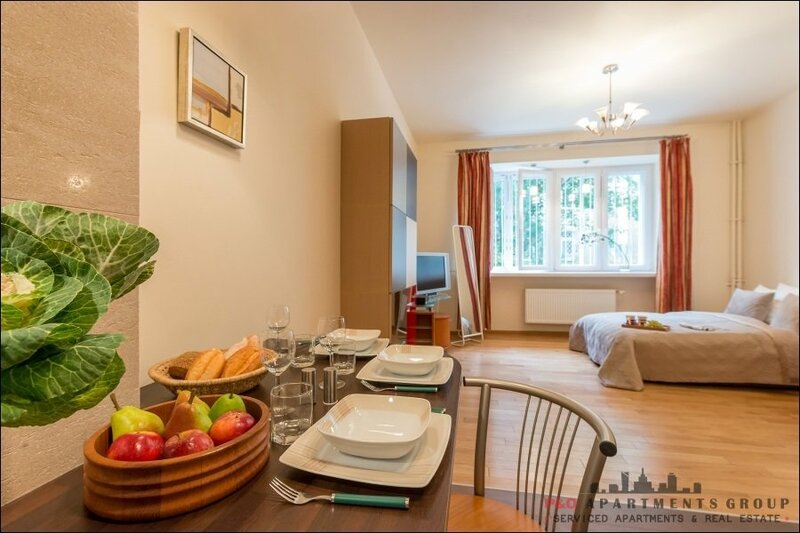 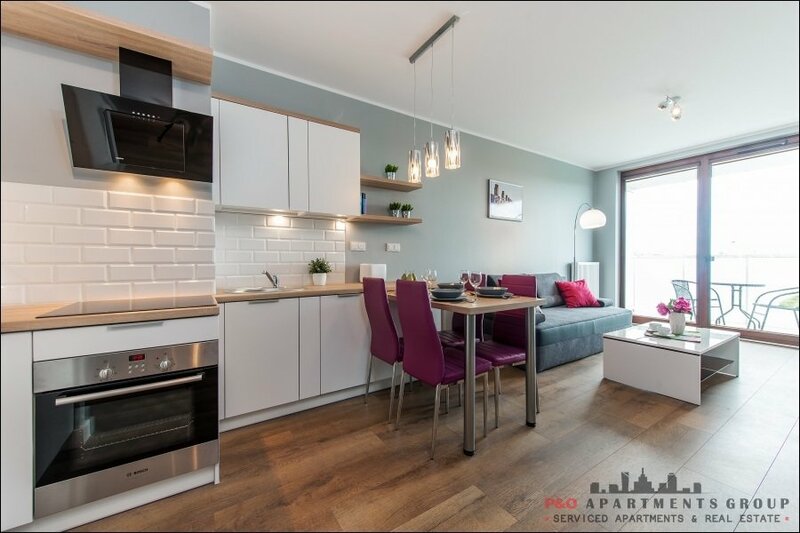 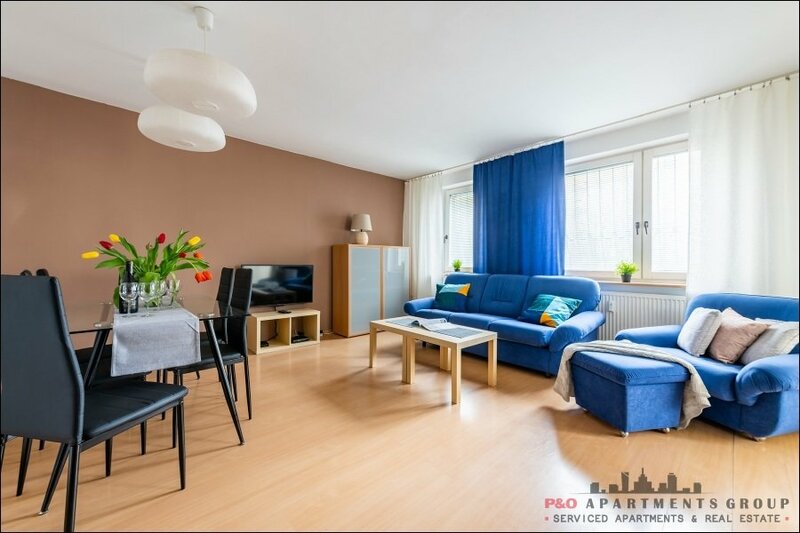 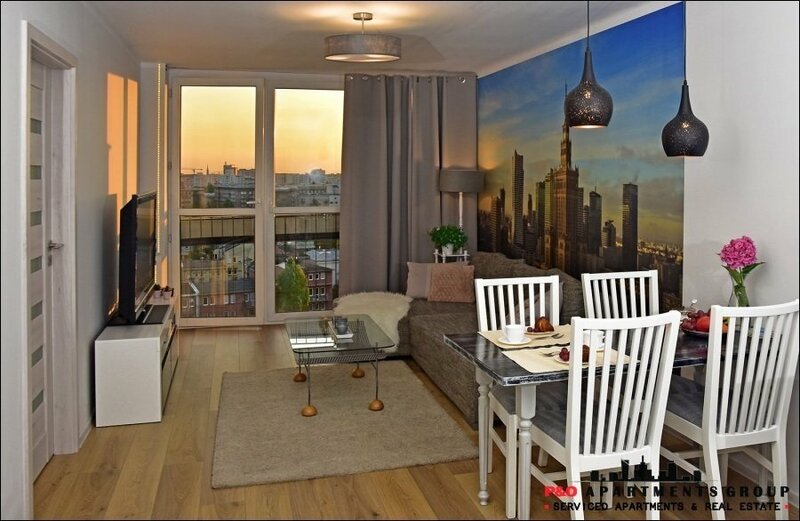 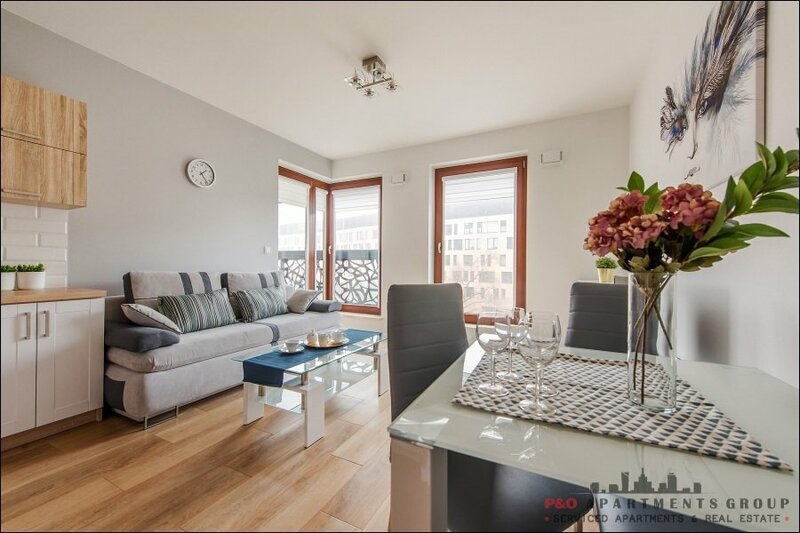 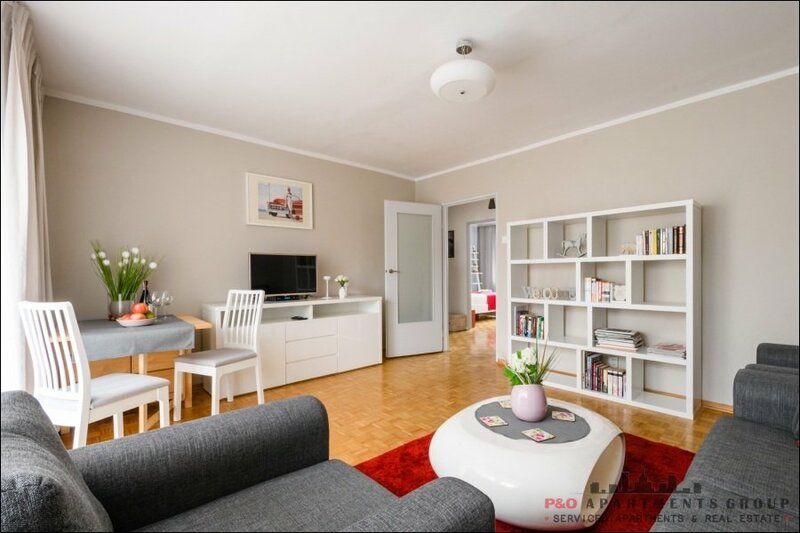 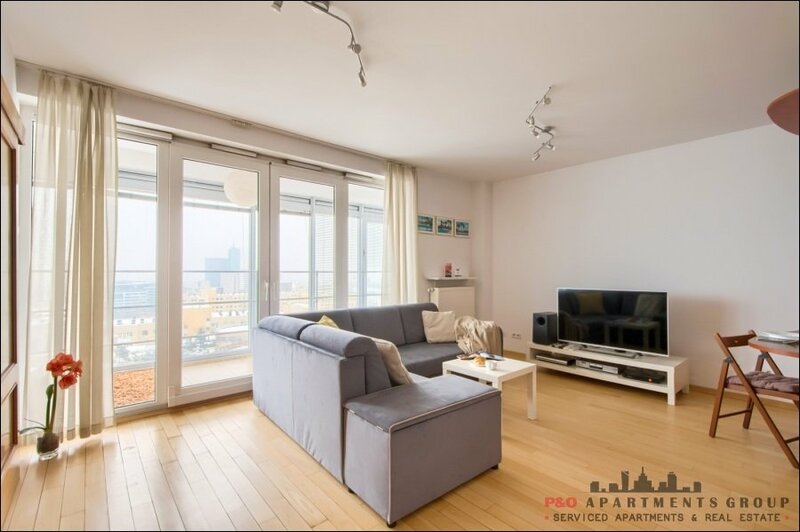 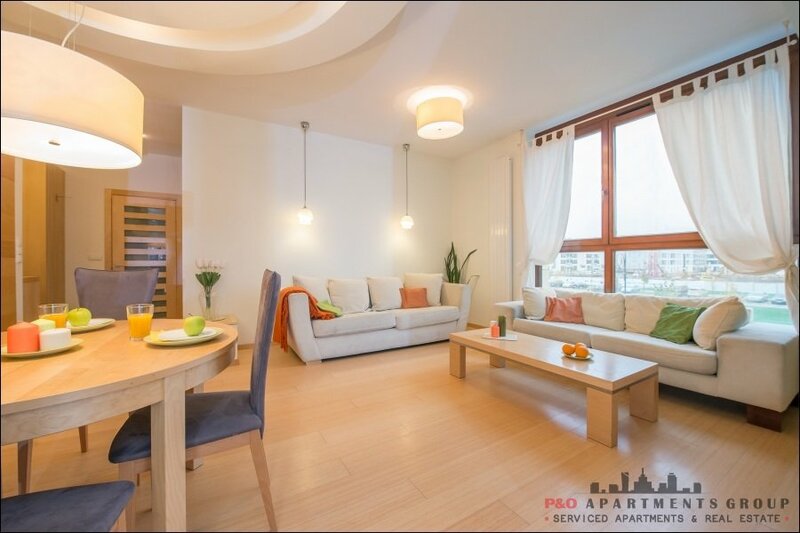 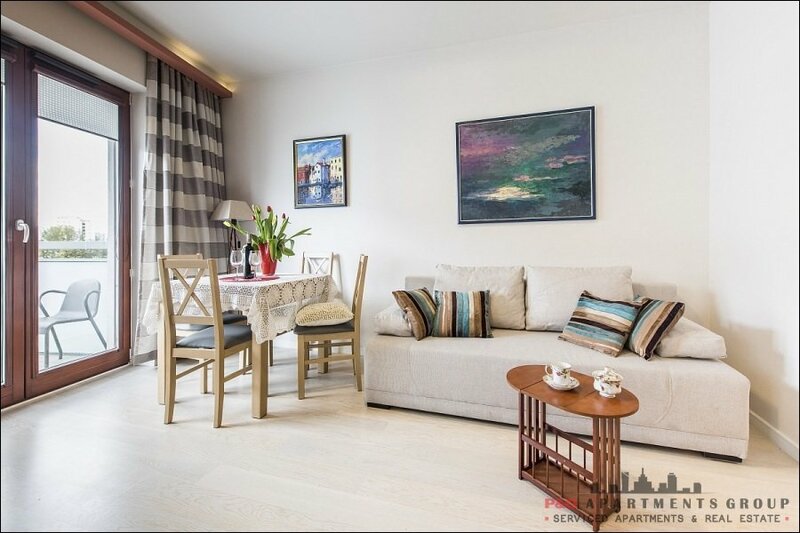 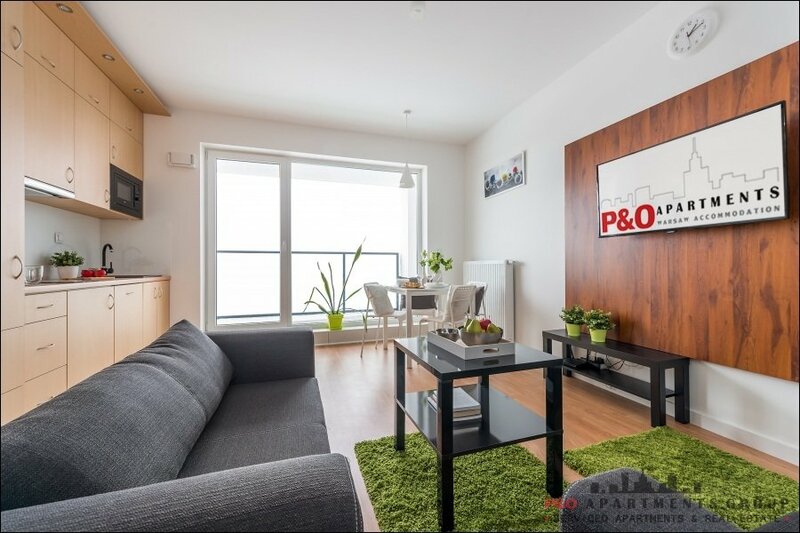 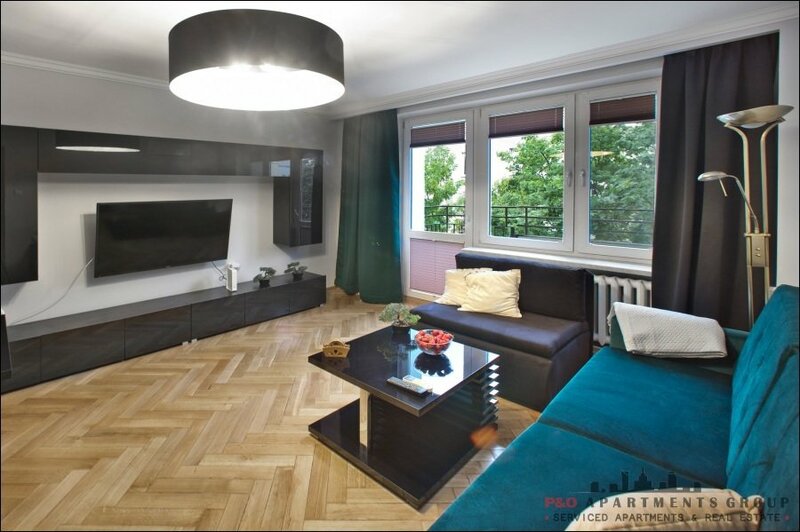 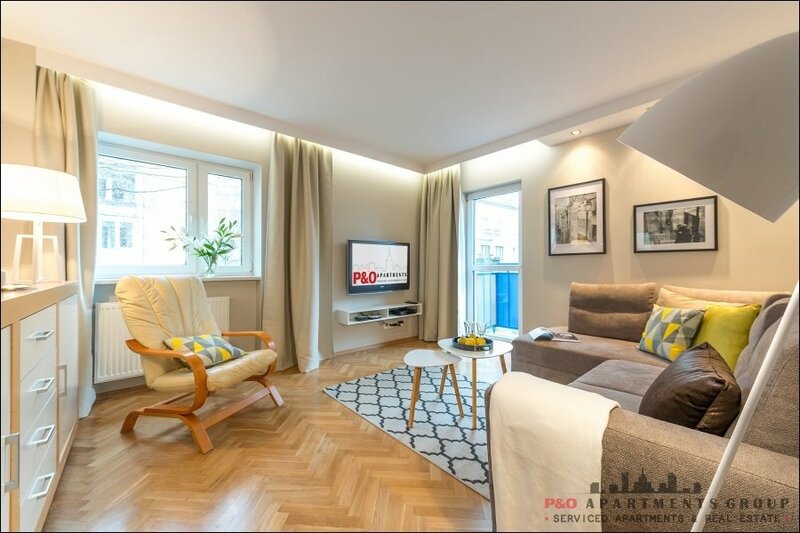 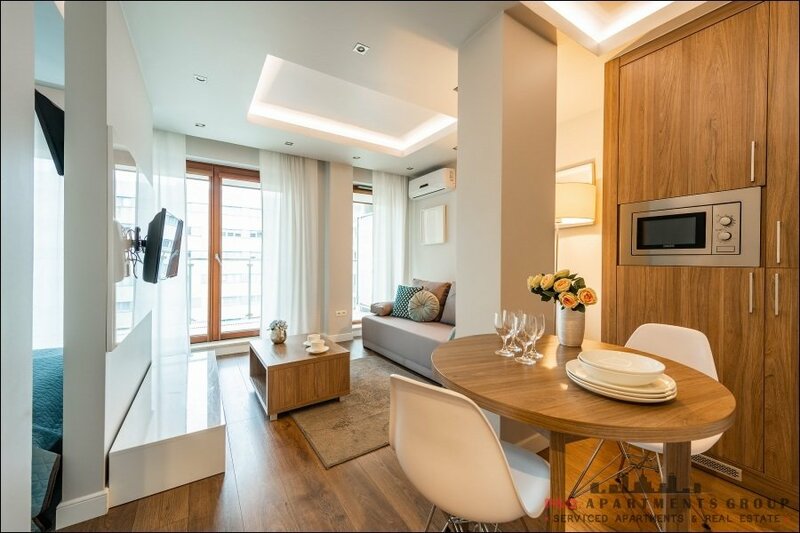 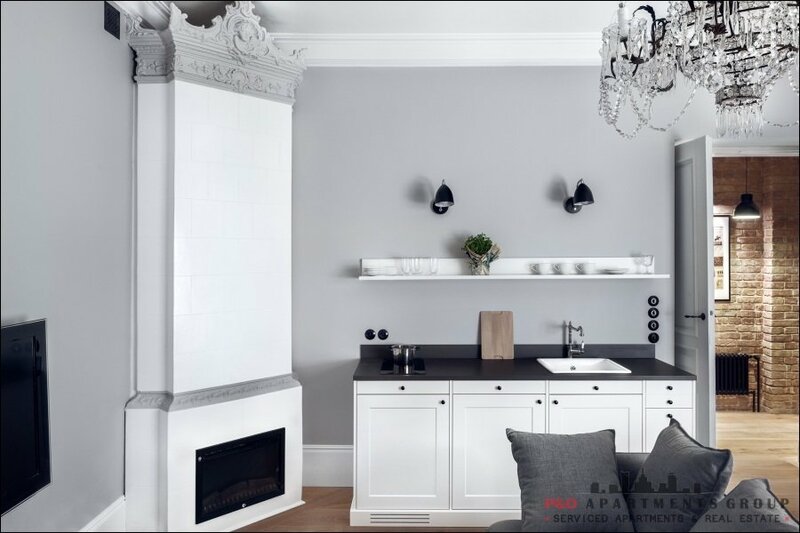 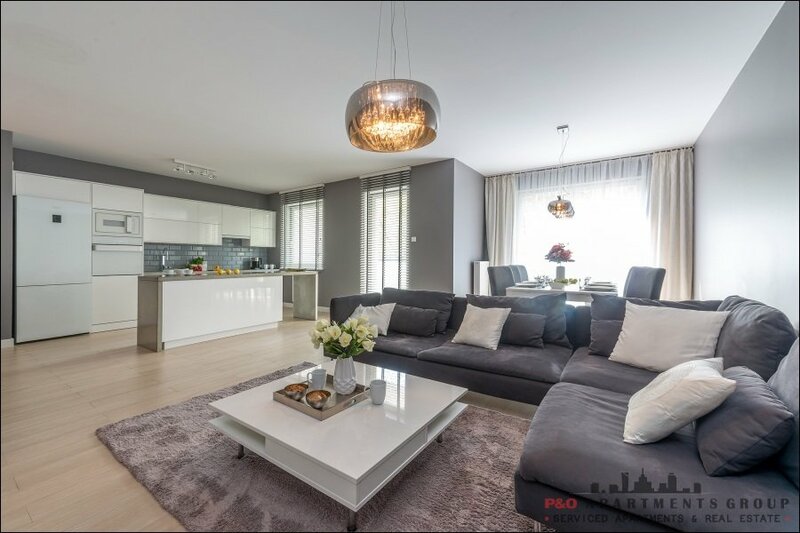 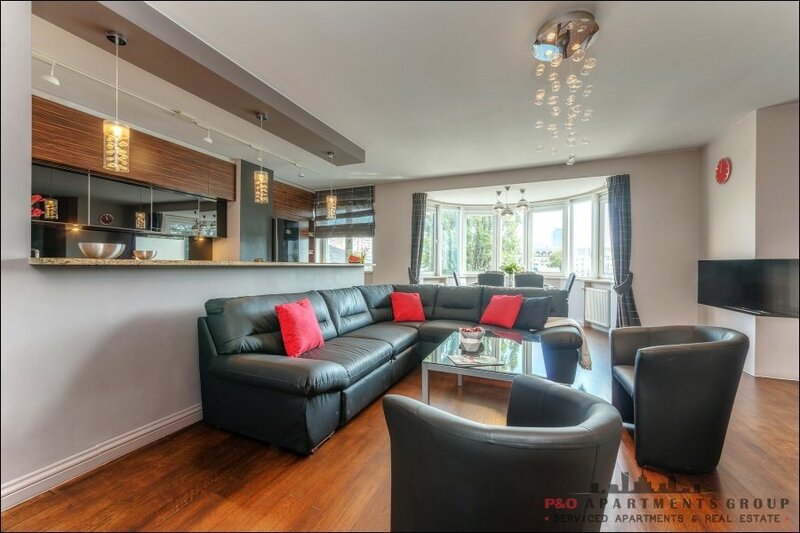 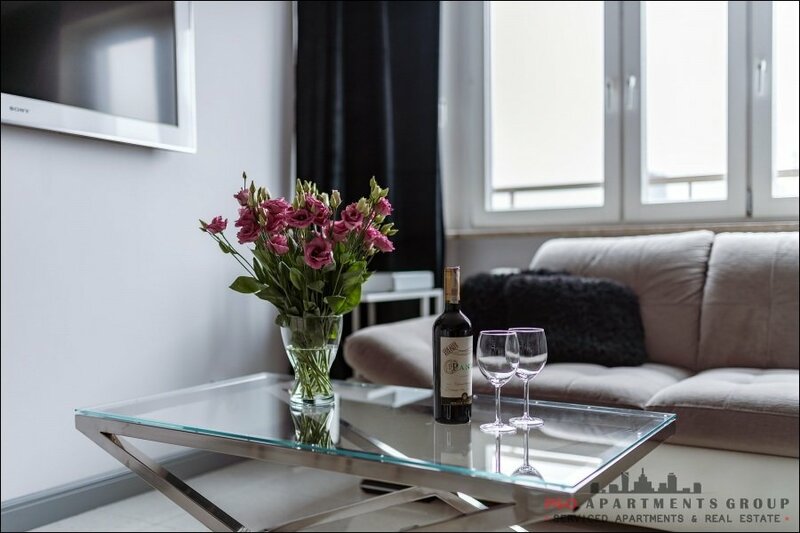 Cozy and spacious apartment located in the heart of Warsaw! 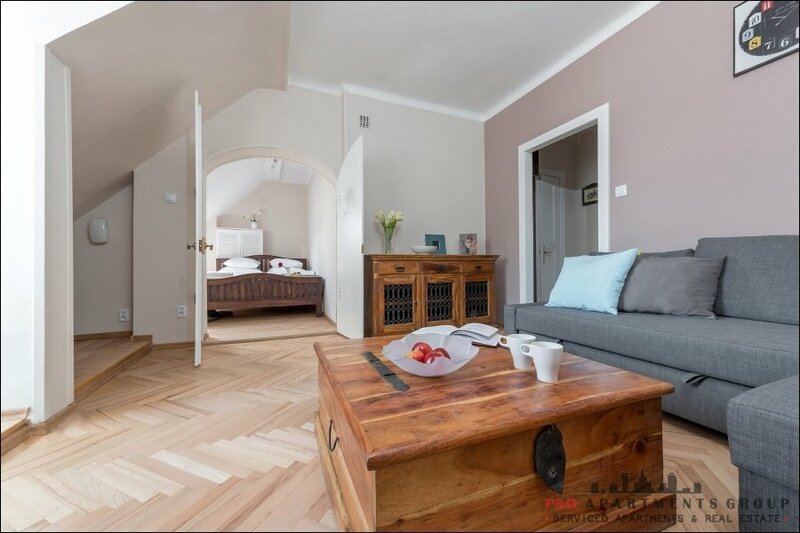 This charming holiday rental is completely furnished and is an ideal solution for travellers seeking an alternative lodging. 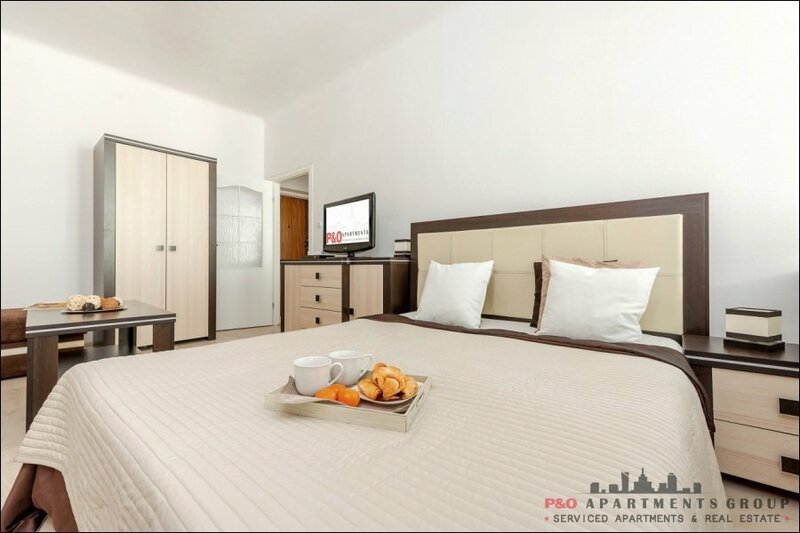 The apartment can easily accommodate up to 4 people. 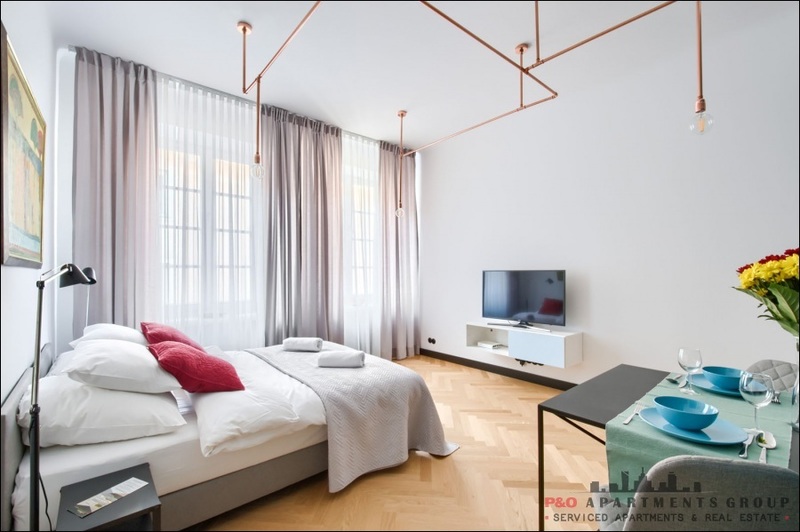 The luminous living area of the Arkadia 9 flat has a comfortable sofa bed. 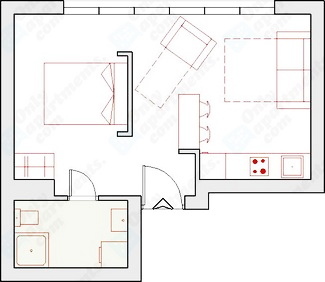 The bedroom disposes a complete double bed. 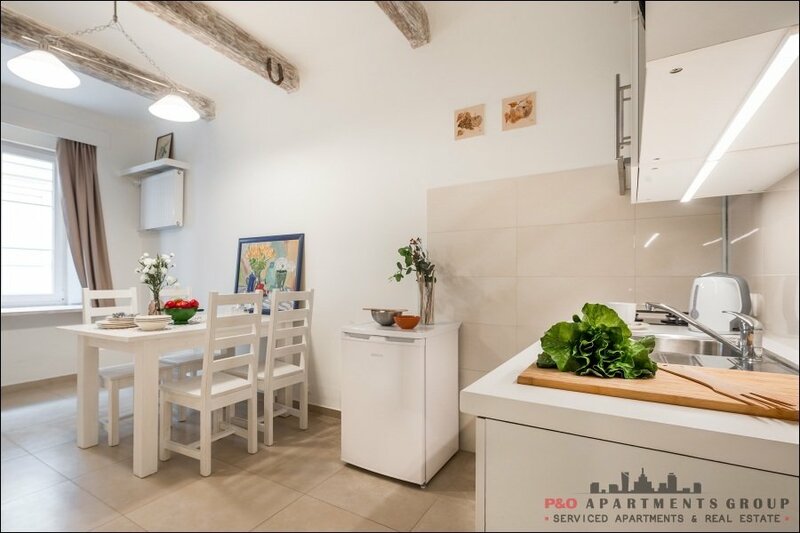 The open kitchen of this wonderful studio is equipped with a brand-new electric cooker, refrigerator, dishwasher and microwave. 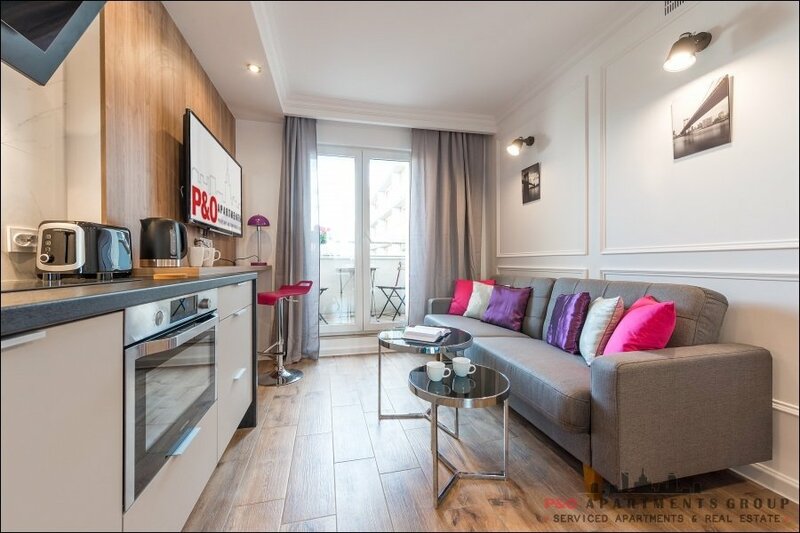 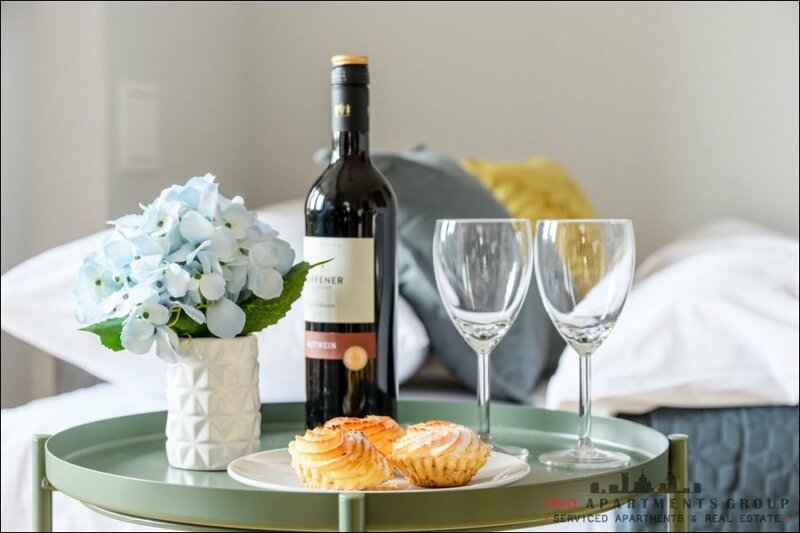 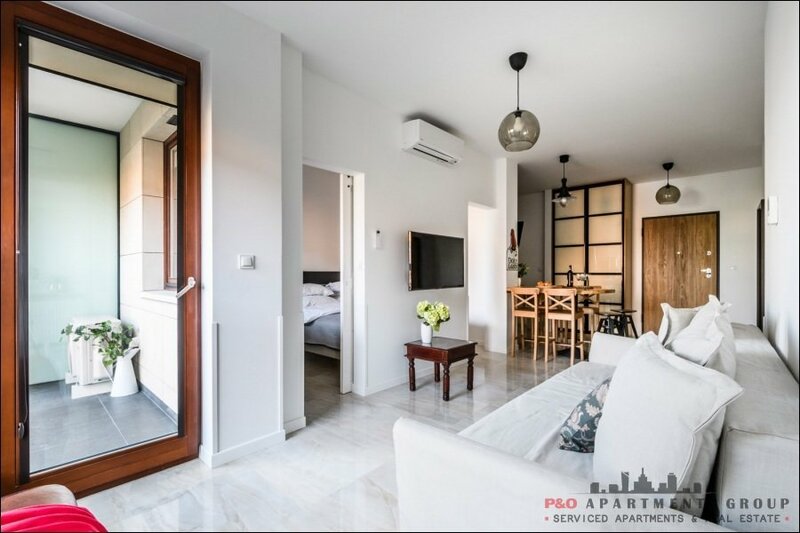 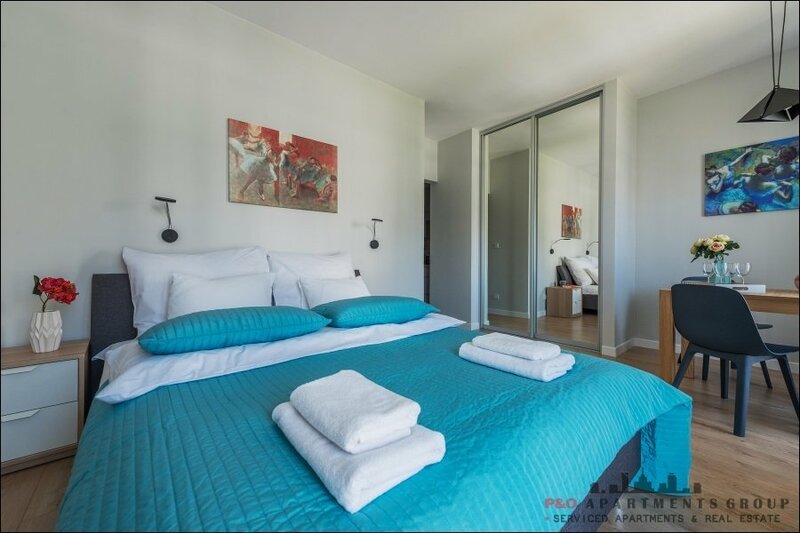 All necessary amenities like wireless internet connection, cable TV, ironing board, vacuum cleaner, bed linen and towels are provided. 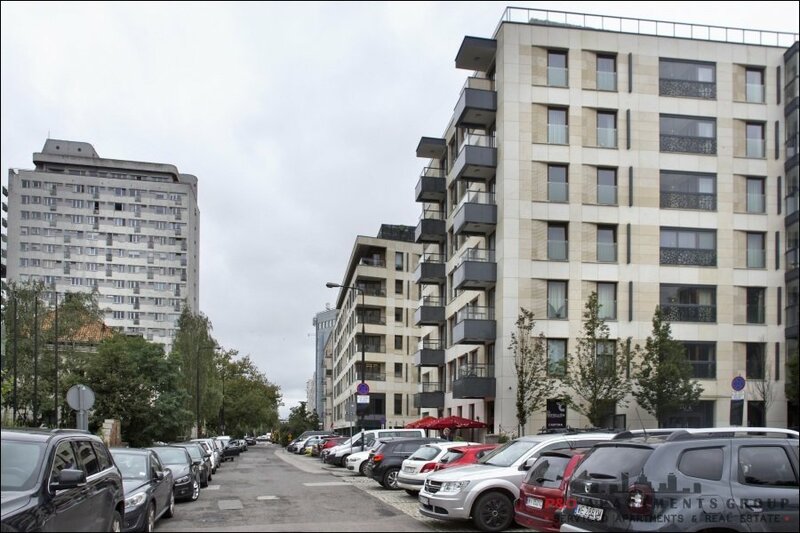 The building has a green yard with decorative illumination, two-level underground garage and eight fast and silent elevators. 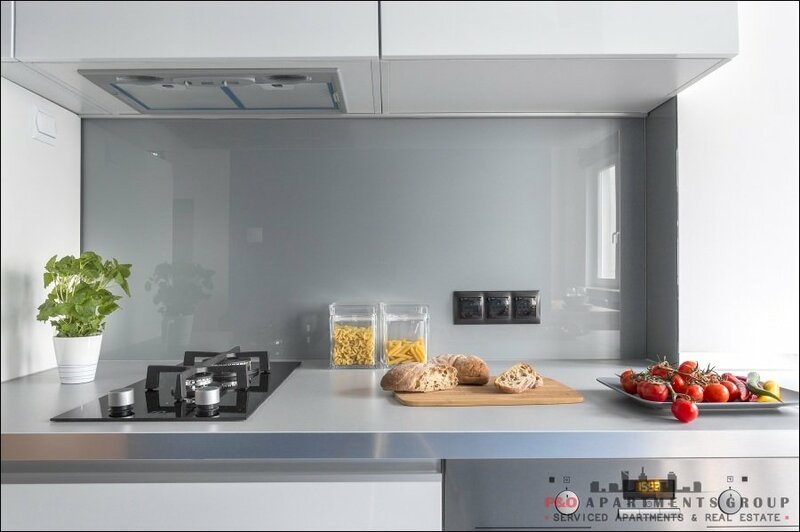 The Arkadia edifice is fully adapted to disabled person. 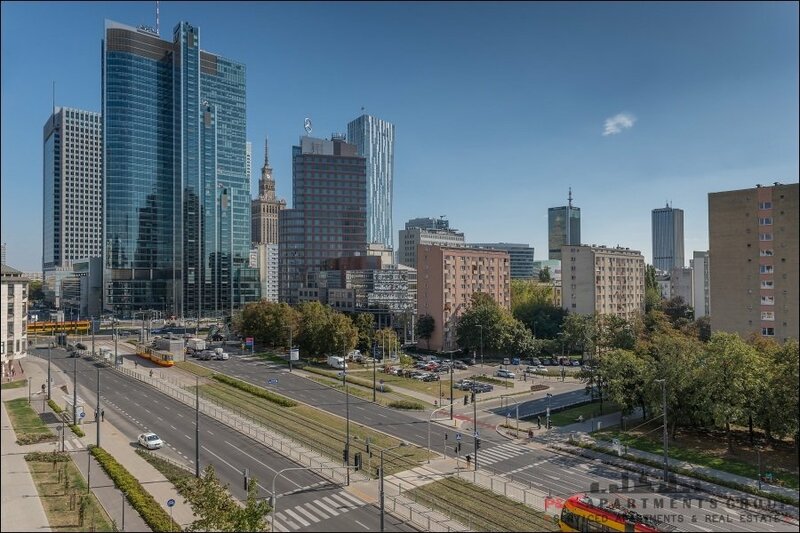 The area is separated and monitored by security 24hs. 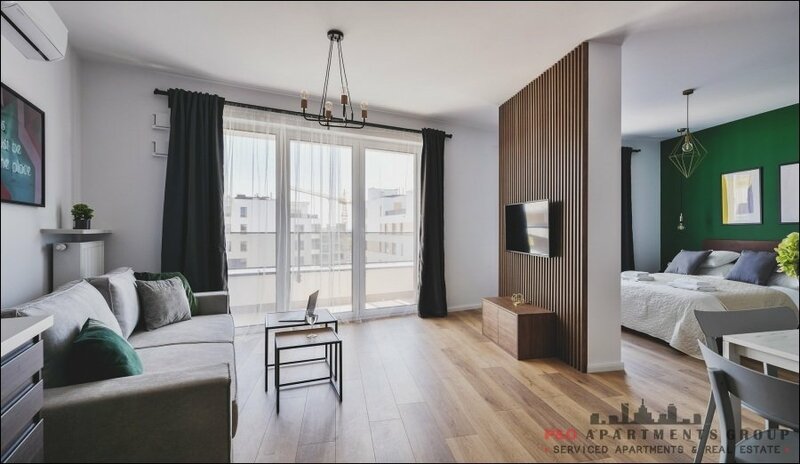 Doorphone is available in each apartment. 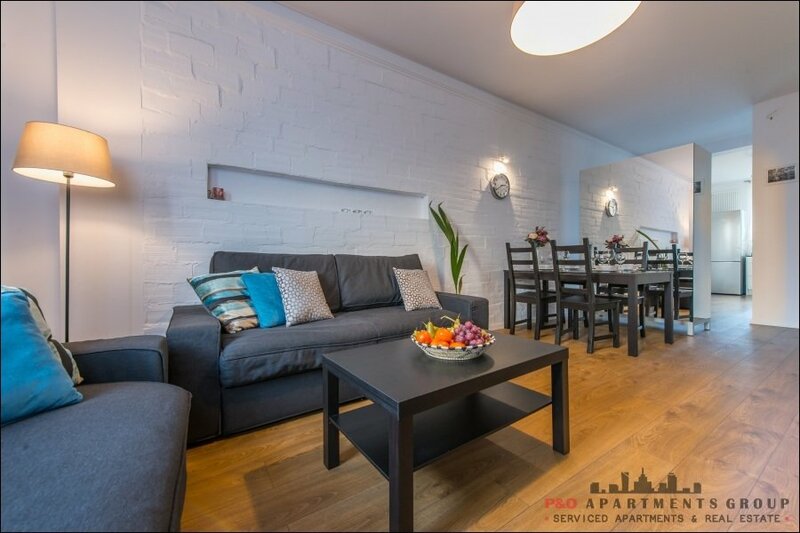 Two receptions are at your service in the main lobby. 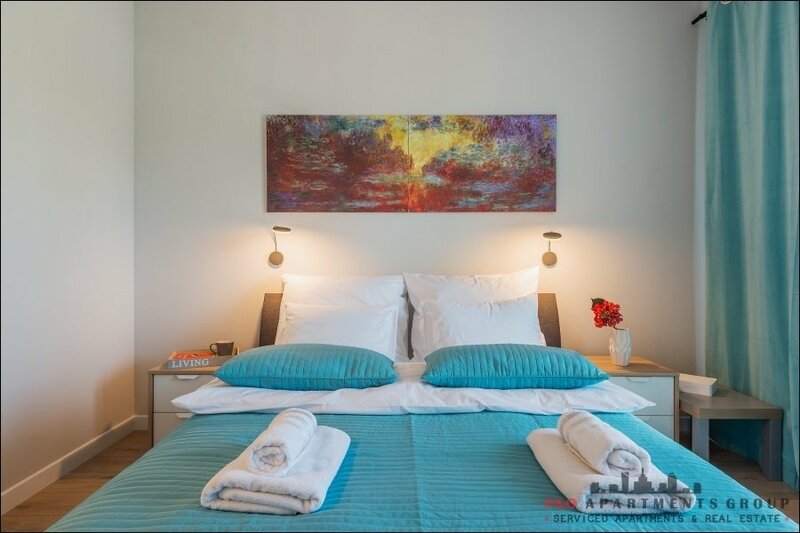 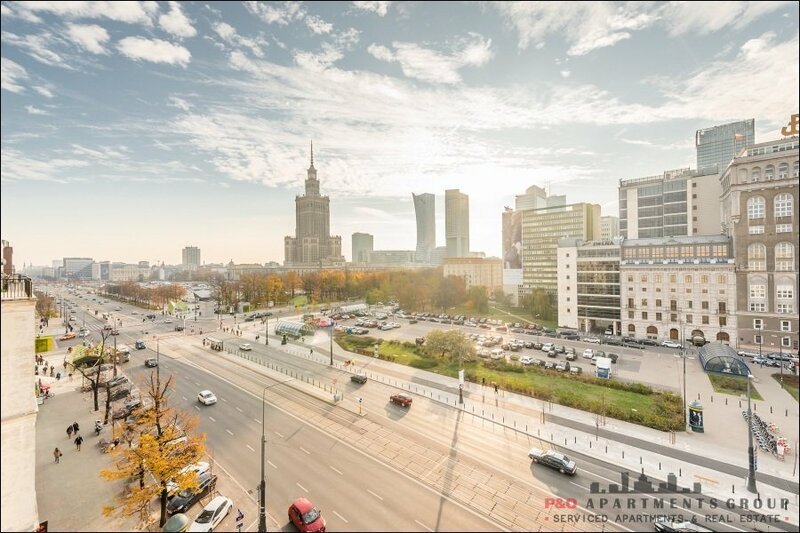 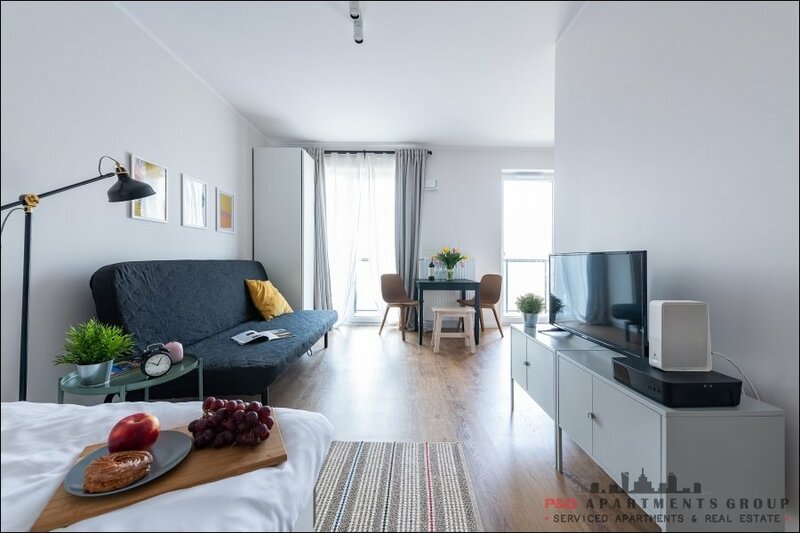 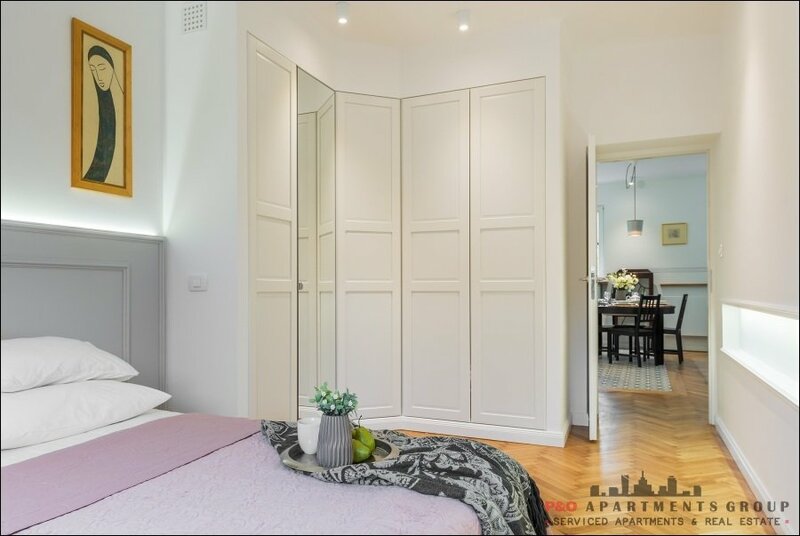 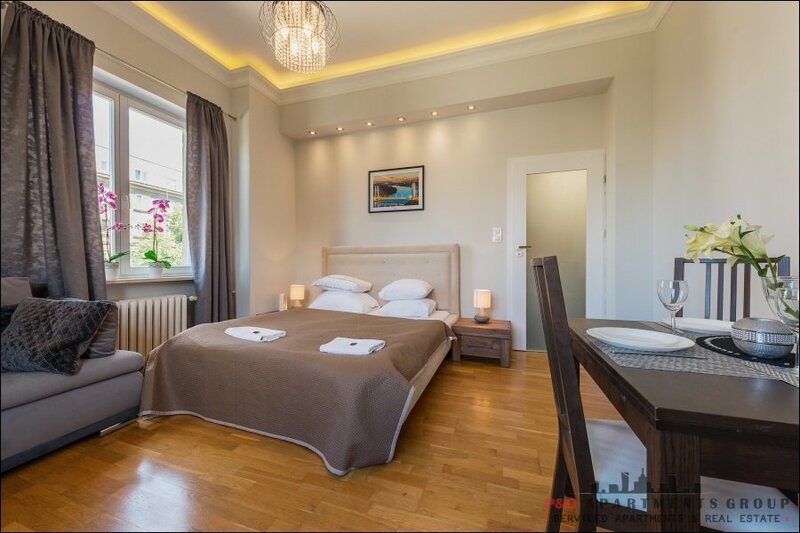 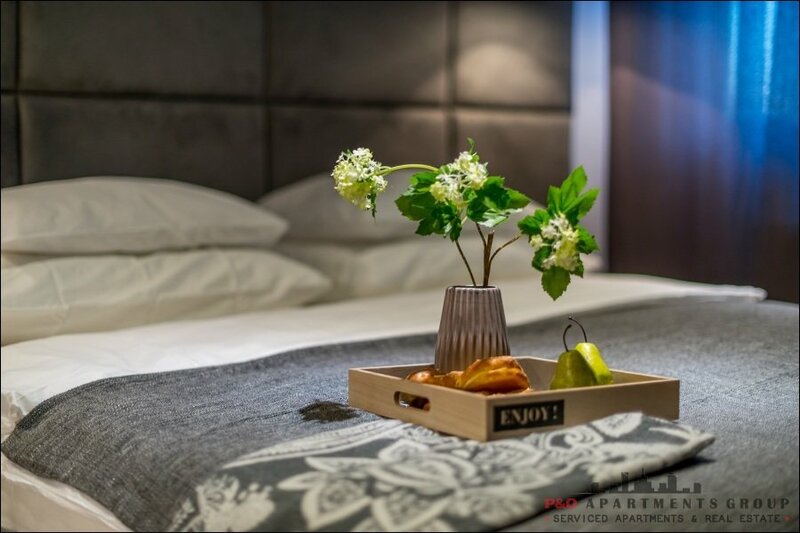 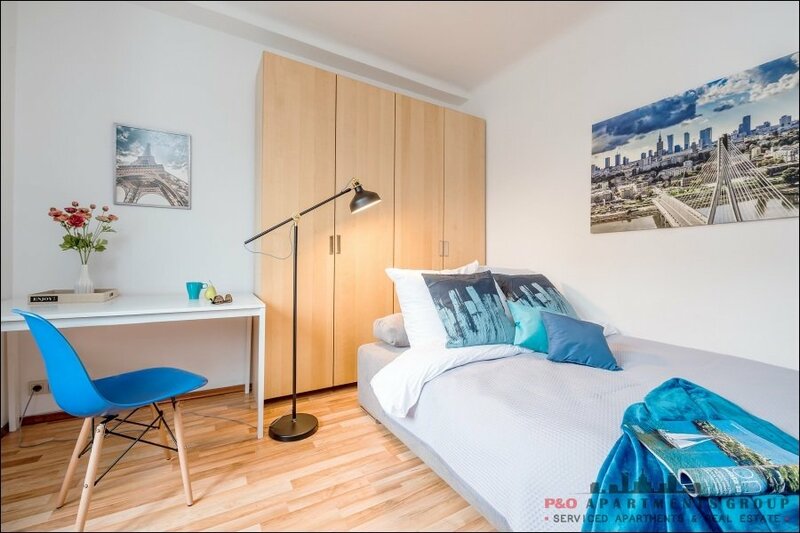 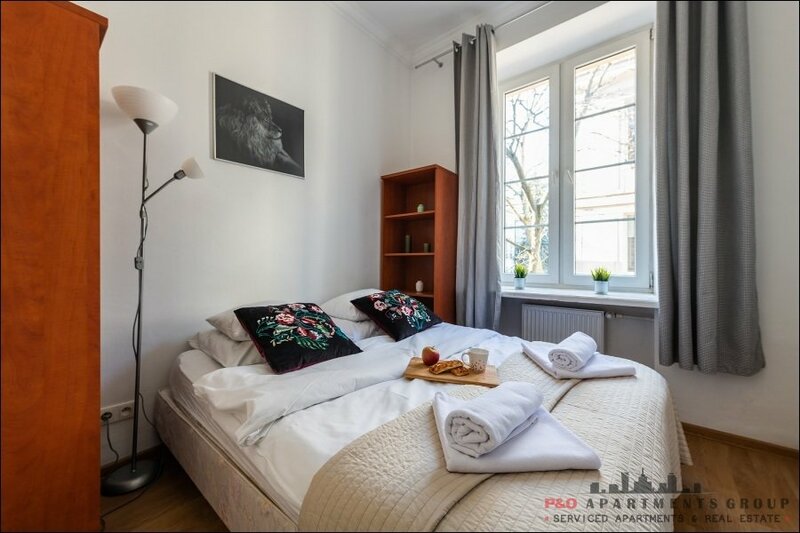 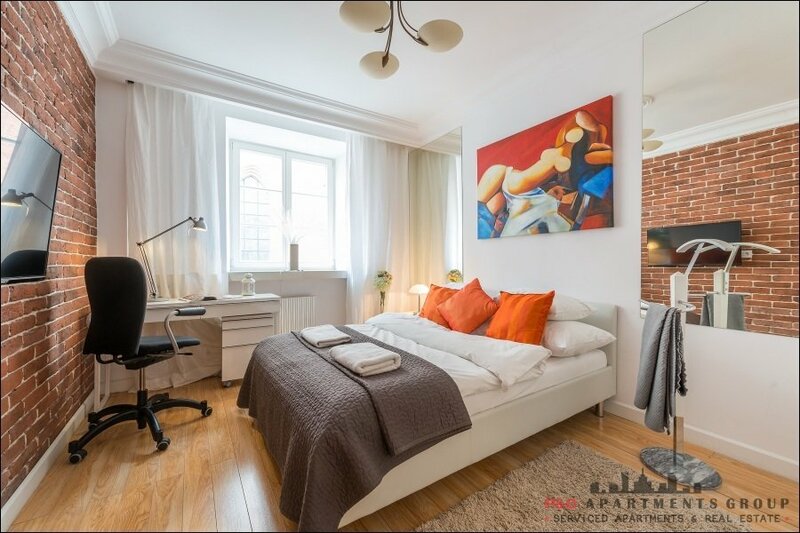 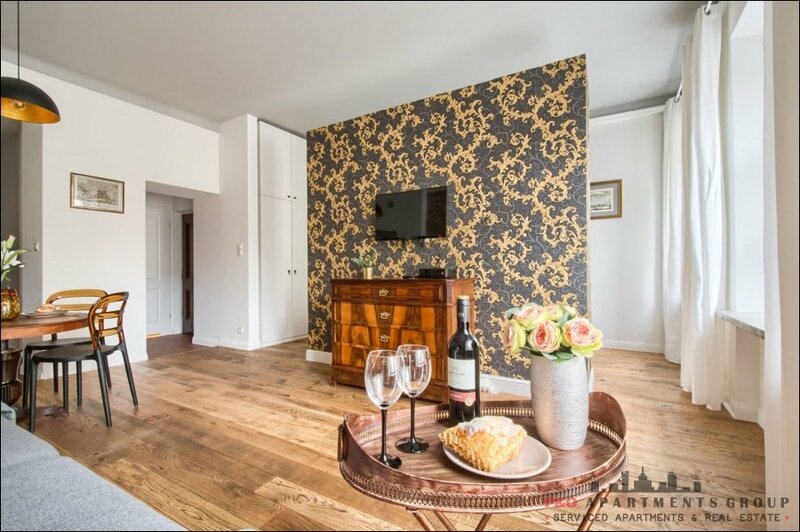 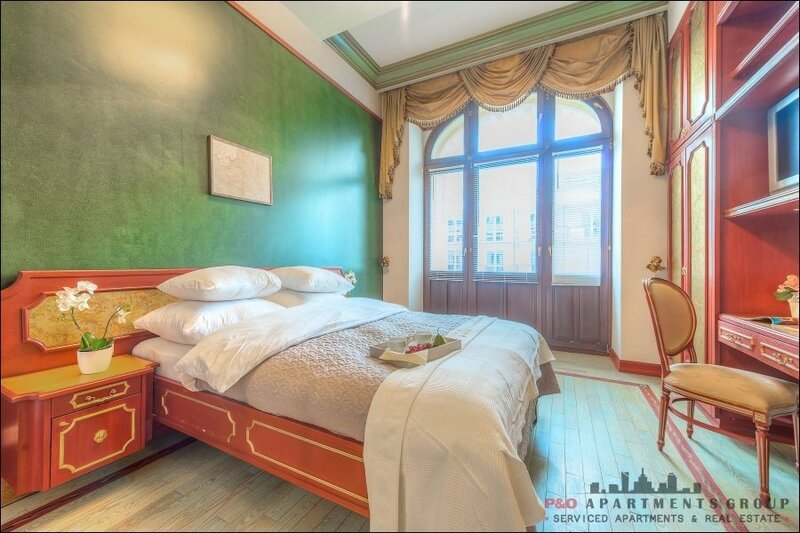 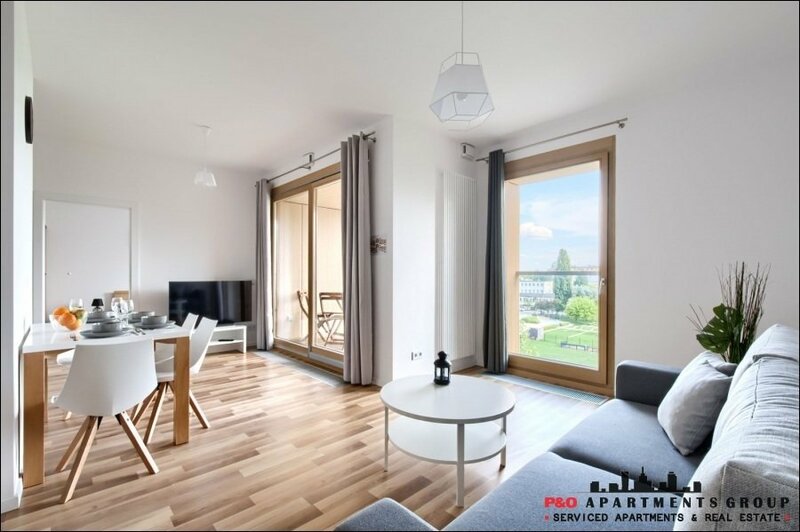 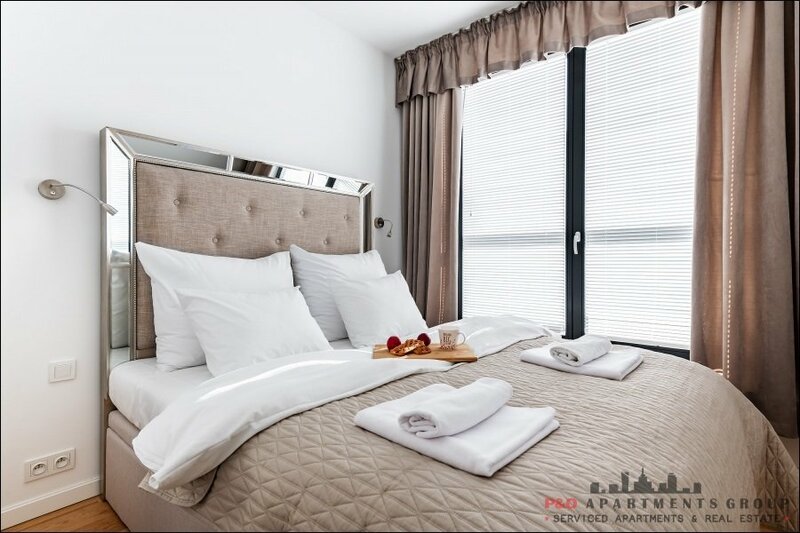 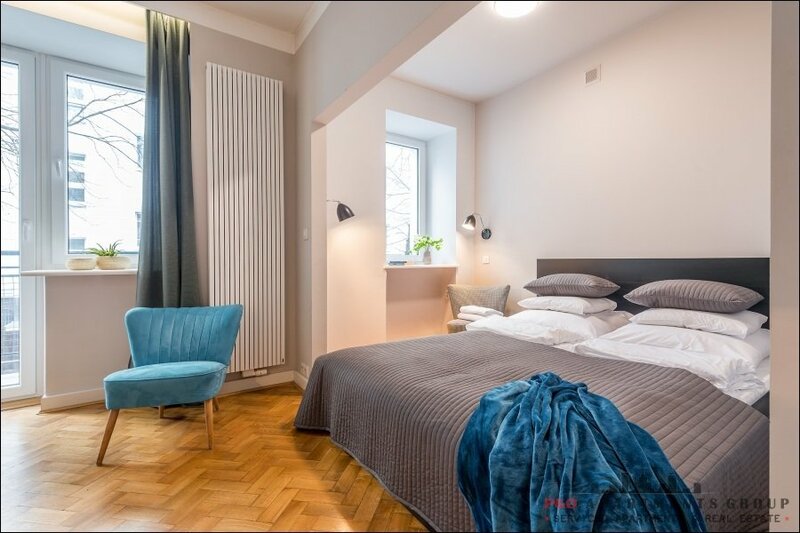 Close to the Royal Castle and other main tourist attractions, Arkadia 9 apartment is a great accommodation option when exploring the Poland’s capital. 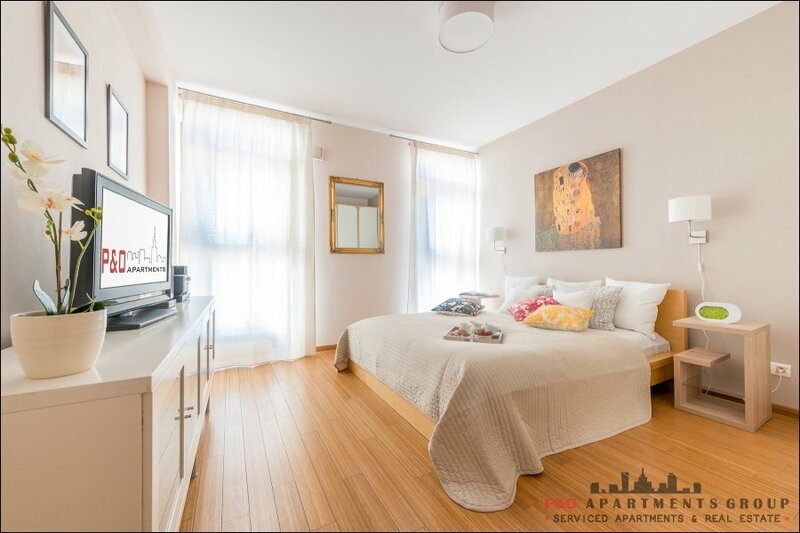 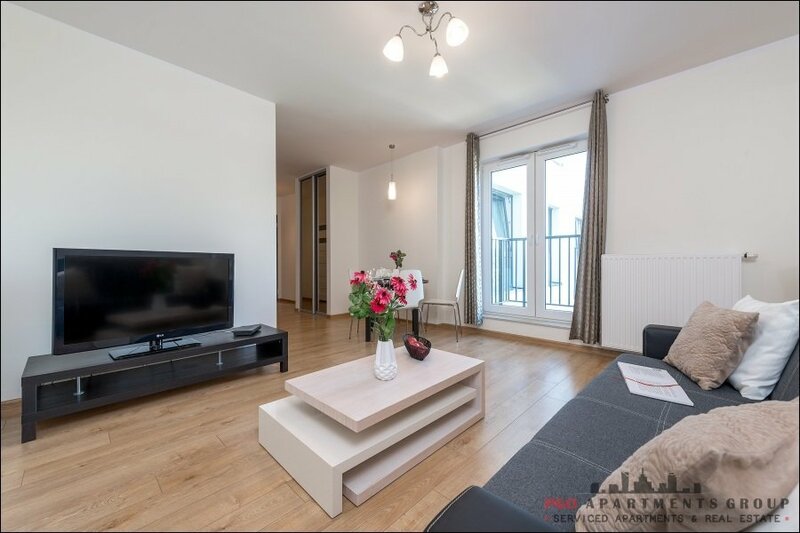 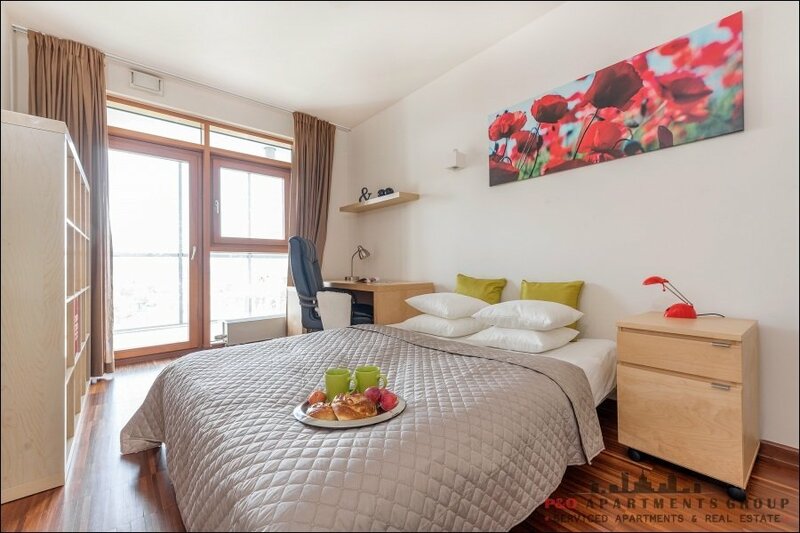 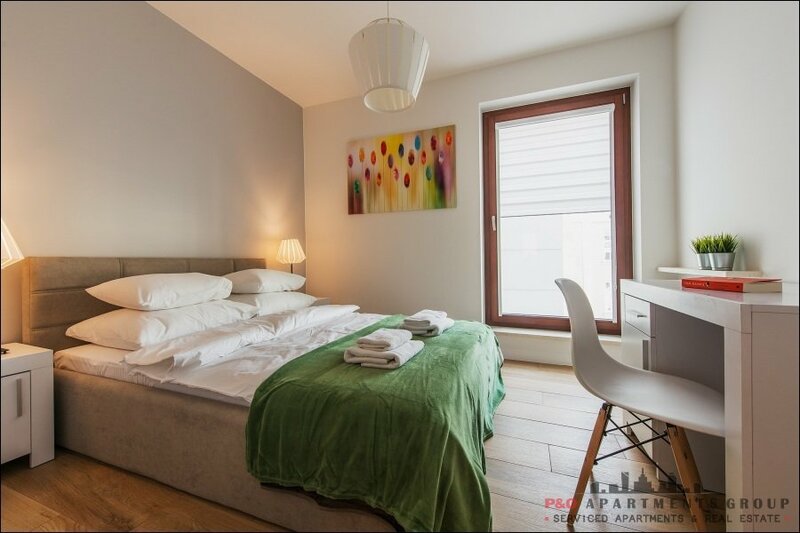 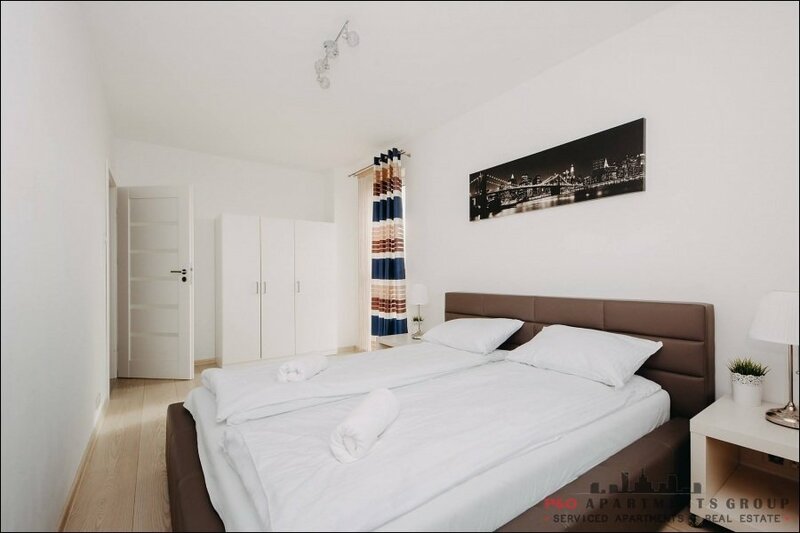 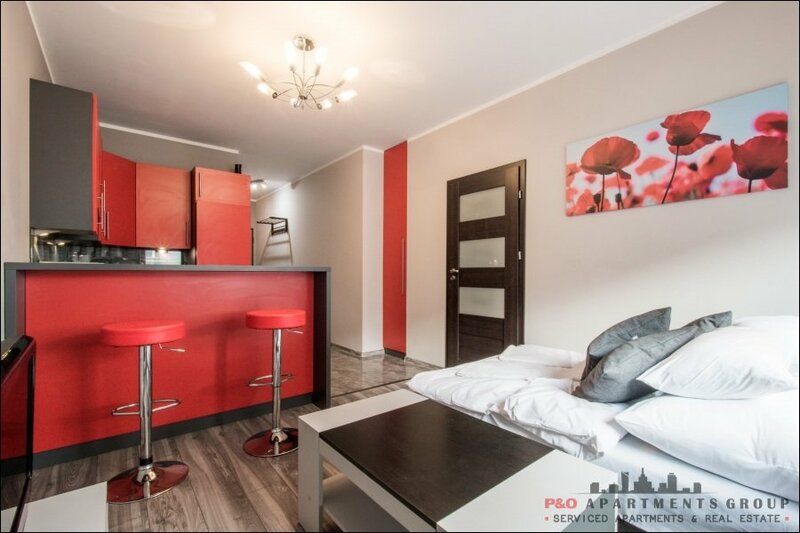 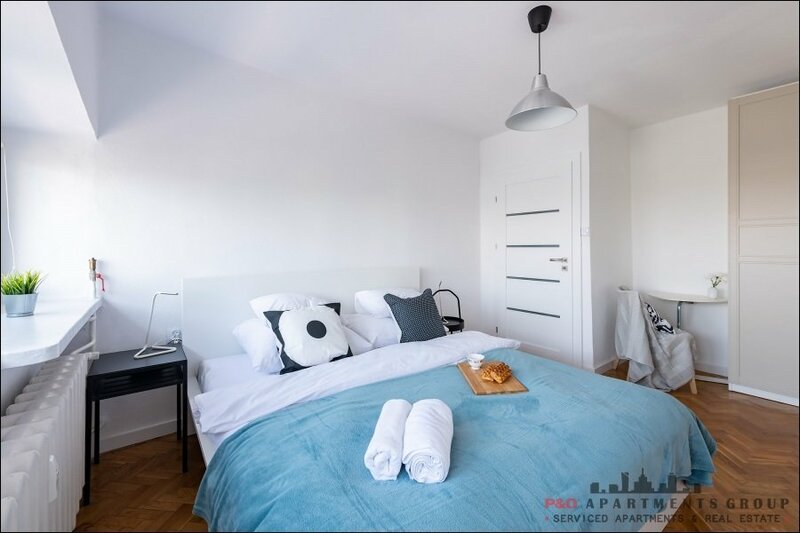 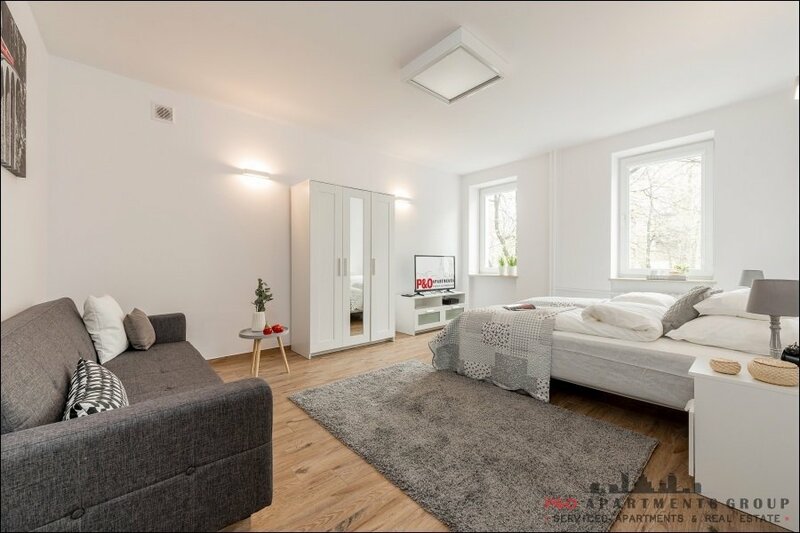 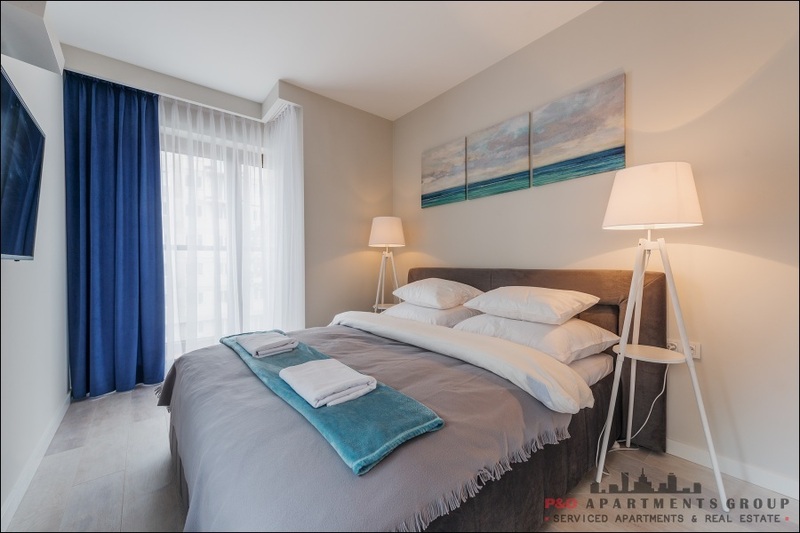 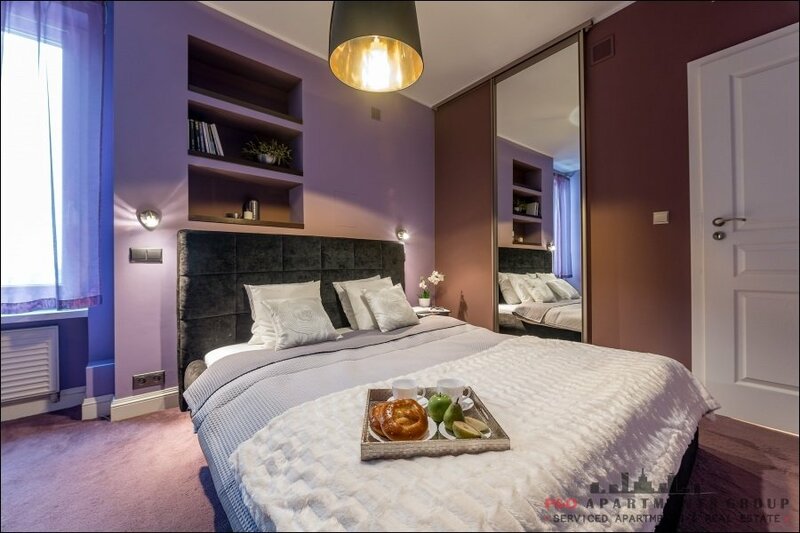 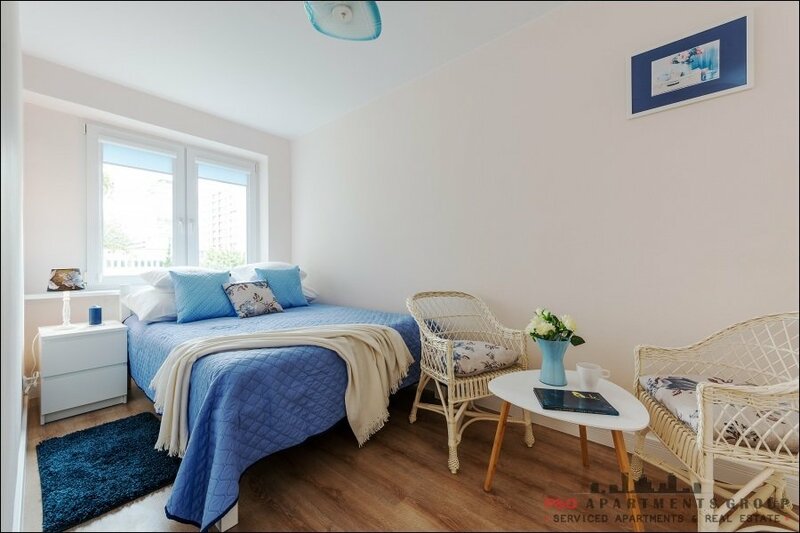 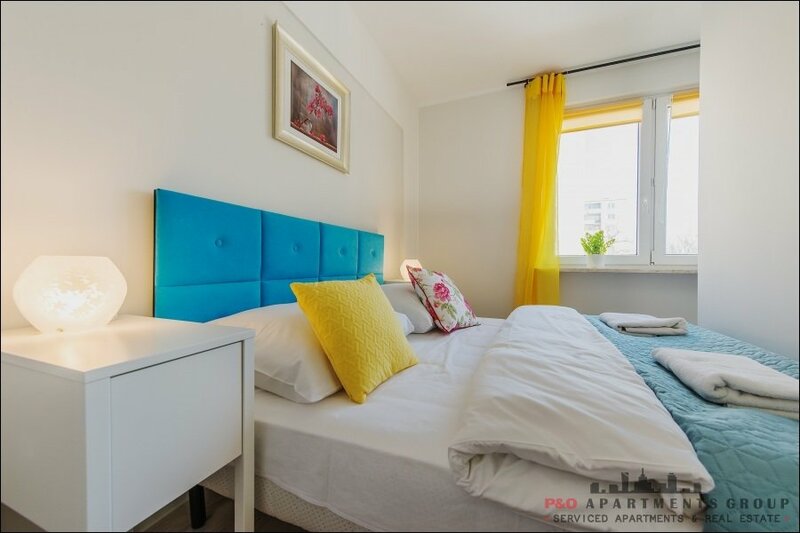 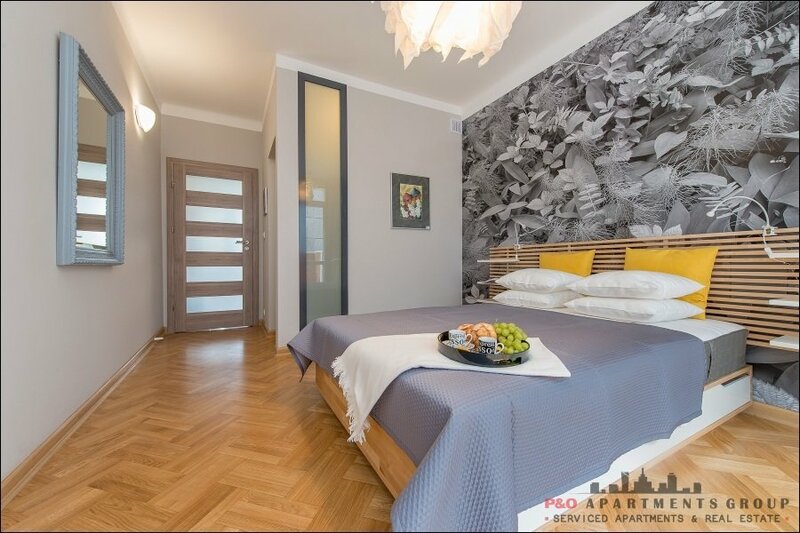 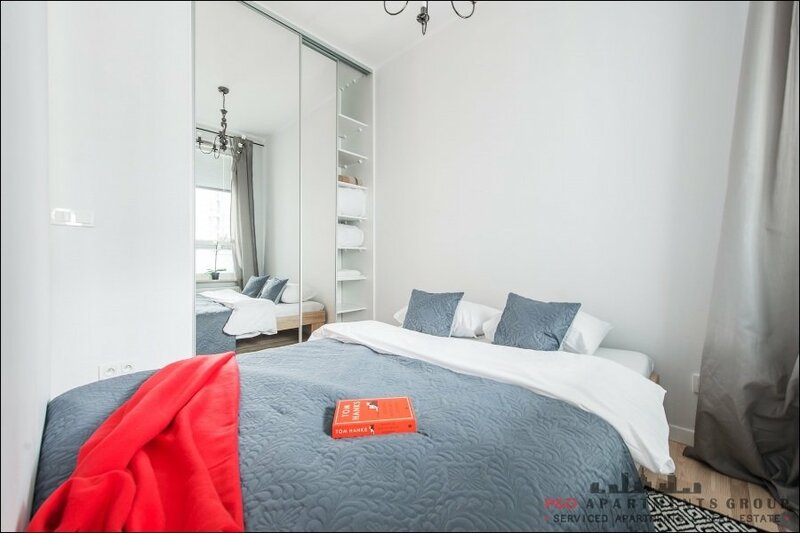 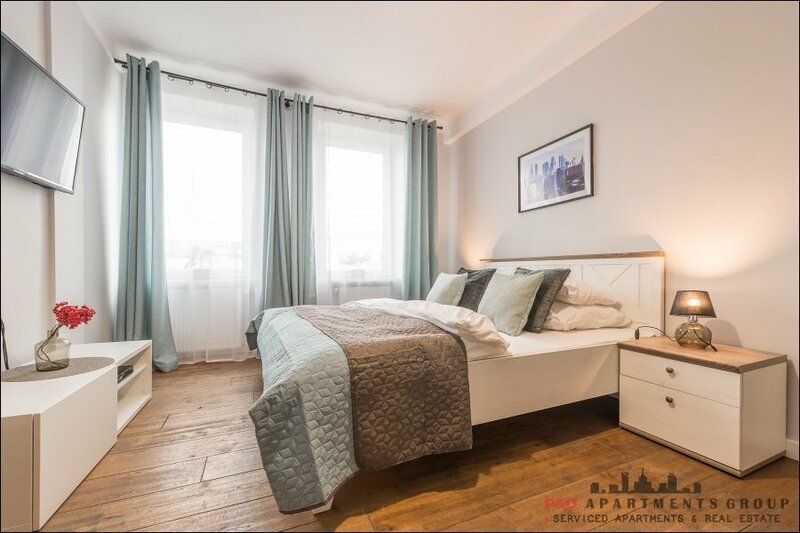 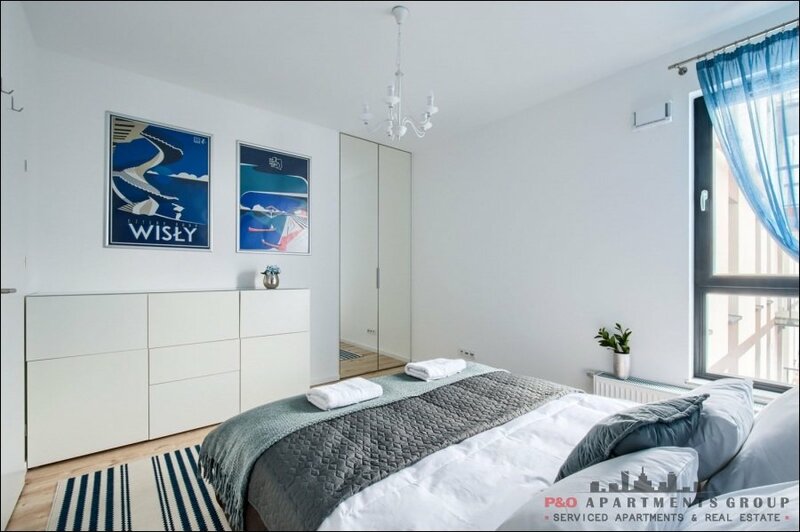 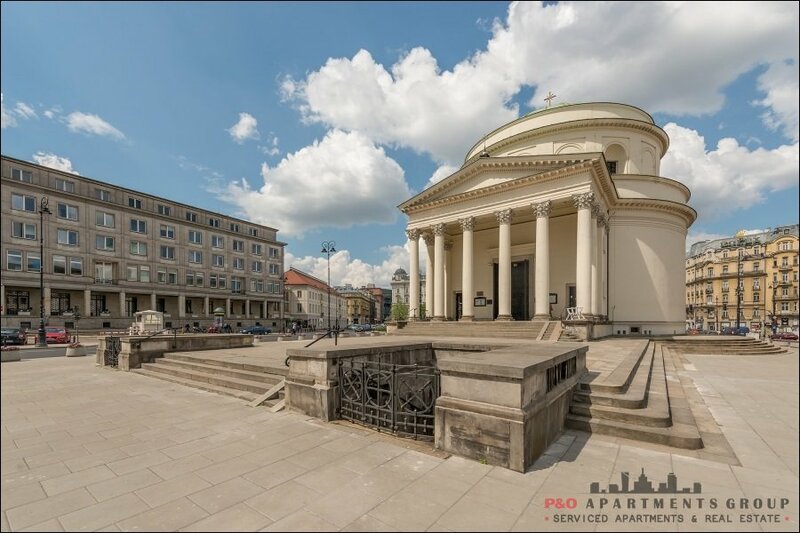 This holiday apartment is located within a walking distance from the Old Town, “Nowy Świat”, “Krakowskie Przedmieście”, next to “Dworzec Gdański” metro station and to the biggest European megastore with hundreds of stores, restaurants and cinemas. 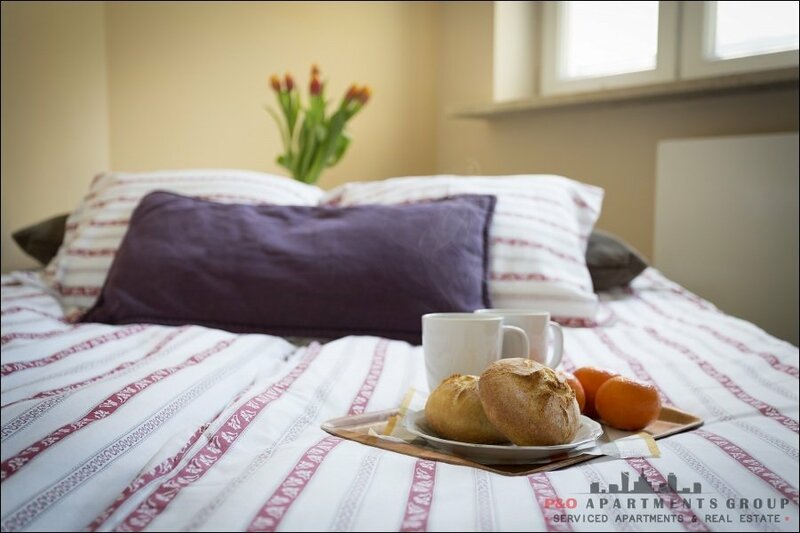 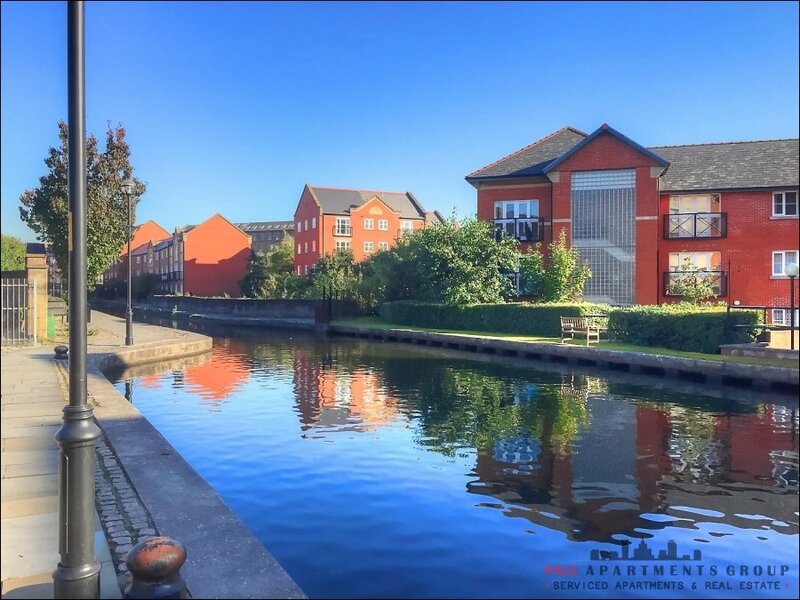 For a variety of options during your visit and a warm and inviting place to relax after a busy day this is the apartment rental for you!